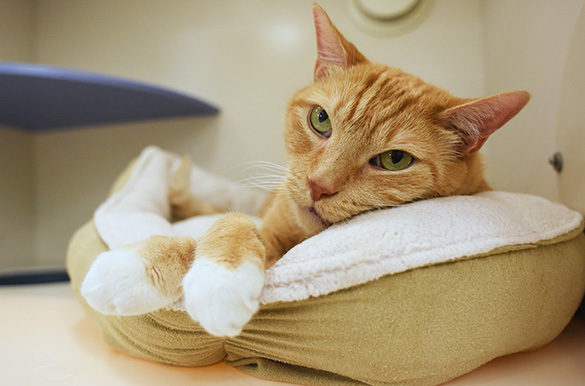 Schwinn won the hearts of ASPCA staff and volunteers alike with his sweet nature and big, green eyes. 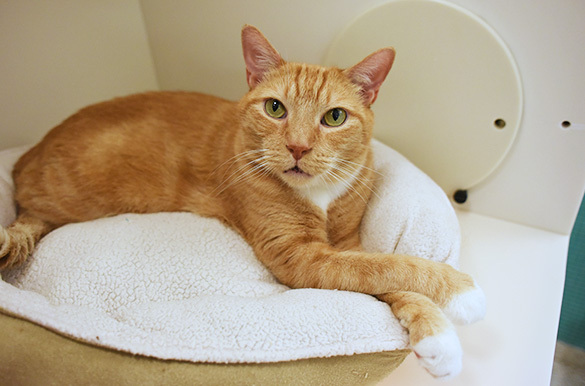 He is a big cat, but don’t let his size fool you—Schwinn is an agile guy! He can effortlessly leap into the air and enjoys playtime with his favorite wand toys. This handsome cat even loves to be brushed. 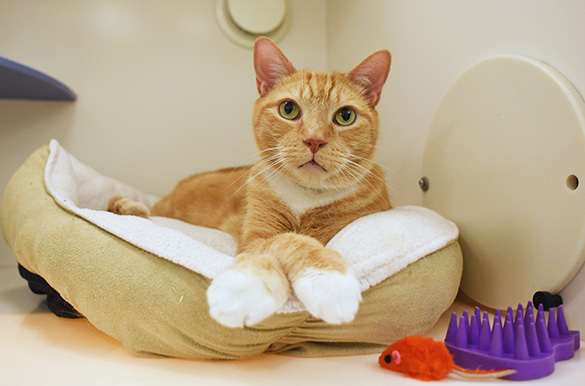 Schwinn is a confident and curious guy who would prefer a home with no other kitties.